Powerpuff Girls Z Wallpaper: Troublemaker! 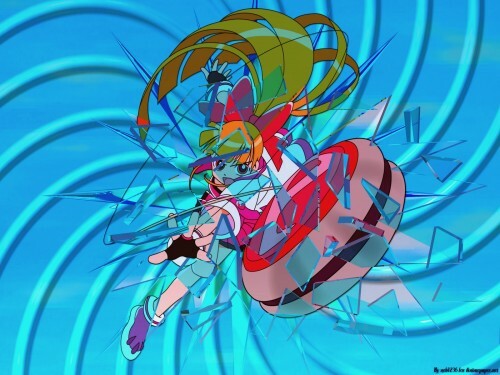 Minitokyo »	Powerpuff Girls Z Wallpapers » Powerpuff Girls Z Wallpaper: Troublemaker! First I dedicate this wall to MumuleLL and Baka_Continental two "friend" of mine that supported me on walling an anime like that. So here is the first wall I really worked hard on it, everything is by me, from vector to background and 3D render. Illustrator CS2 for the vector. CATIA V5 for the background and the piece of glass effect. PhotoFiltre and PhotoFiltre Studio for all the other things. The vector took me 2 weeks of work (maybe about 30 hours cumulated) And all the 3D renders about 8 hours of preparation and 2 hours for the final render. Browse Powerpuff Girls Z Gallery: Recent | Popular. Hmmm. It looks like it's made with flash or sumthing. I seen these colors everywhere in newgrounds. If that's so, then you are pretty good. I love the PPGZ series. Make an Buttercup too. She's my favorite.